David's Events has been dazzling clients and creating fun unique events since 2003. 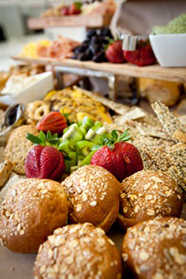 We are a full service catering company that will assist in making your event one of kind with spectacular food, superb service and we will knock you off your feet! The kitchen team is comprised of chefs with many different areas of expertise, which allows us to prepare a variety of different cuisines and styles. 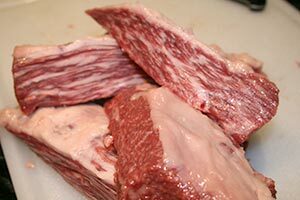 We add to that fresh seasonal product to bring out the best flavors possible. 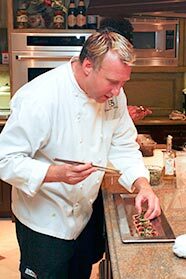 The chef-owner behind David's Events is David Slatkin, a Culinary Institute of America alumnus. Food is everything to David. 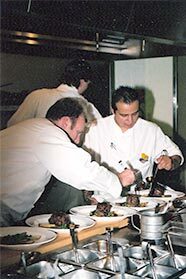 After many years as an executive chef and as an owner of restaurants in New York, Miami and Los Angeles, David opened David’s Events. Catering allows him to have the ability to play in the kitchen and expand his creativity. 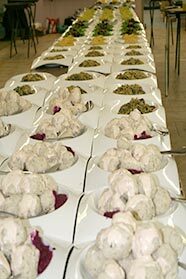 It also allows him the ability to design menus to specifically fulfill each client’s desire.